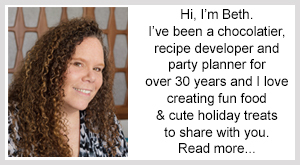 October 16, 2014 By This post may contain affiliate links. 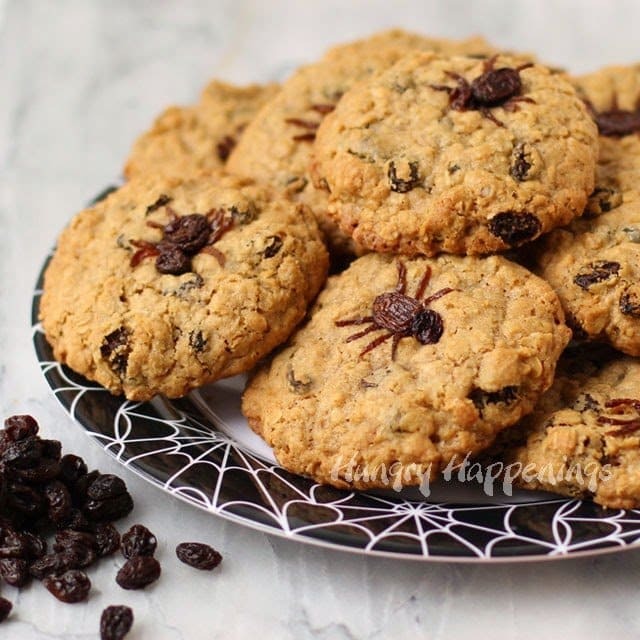 What better time of year than Halloween to serve up some creepy looking Spider Infested Oatmeal Raisin Cookies made using plump juicy California Raisins? This post is brought to you by California Raisins. 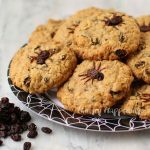 I’ll probably stick to putting spiders in my cookies at Halloween, like I did last year when I made Spider Infested Chocolate Chip Cookies. 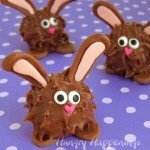 My original chocolate spiders looked pretty cool, but were not terribly realistic. I intentionally made them that way. 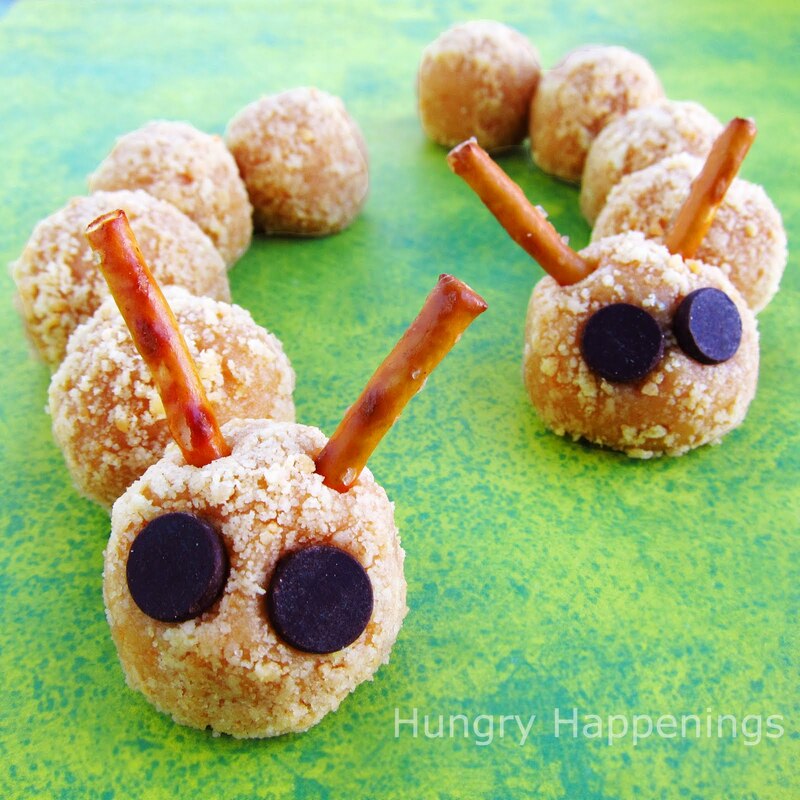 I figured most people would want cuter spiders that creepy ones on their cookies. I was wrong. 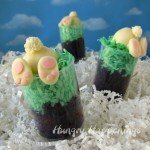 People were totally excited about the creep out factor of the sweet Halloween treats. 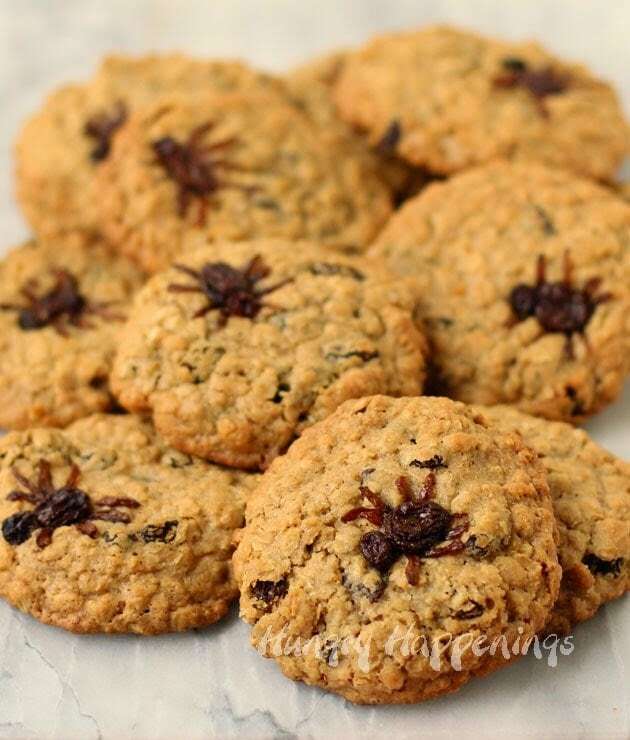 So this year I decided it would be fun to challenge myself to make more realistic looking spiders that would infest a batch of homemade cookies and found that creating them out of raisins was perfect. Plump juicy California raisins make great spider bodies, but better yet, when cut into thin long pieces, they become somewhat translucent and scraggly around the edges and make amazing looking legs. 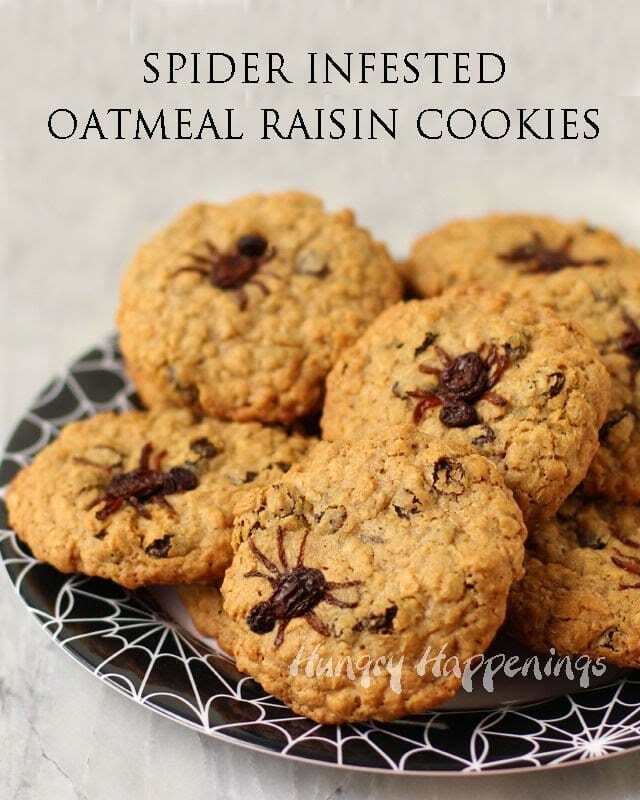 It only seemed natural to put the raisin spiders into oatmeal raisin cookies. I’m a huge fan of oatmeal raisin cookies, but my husband hates them, so I don’t make that very often. I believe it’s been several years since I’ve baked a batch. It was hard keeping my hands off of these cookies once they came out of the oven. I could easily eat an entire tray full even though they were infested with spiders. Select 16 large plump and juicy raisins for the spider bodies and 16 very small raisins for the spider heads. Flatten the remaining raisins as thin as you can. 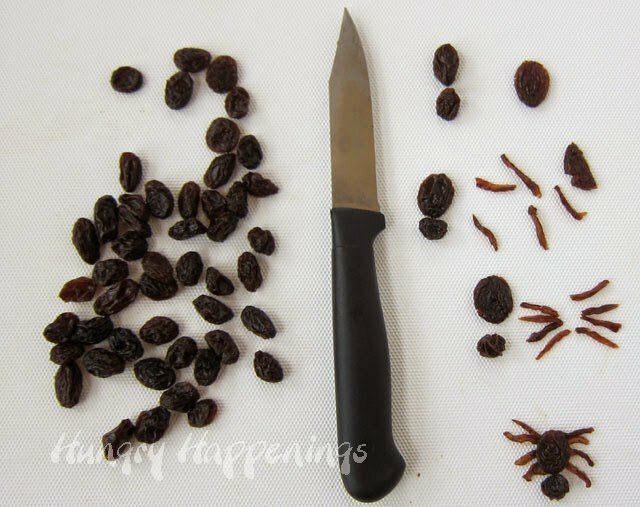 Using a sharp knife, cut thin long strips out of the raisins for the spider legs. Create enough legs for all 16 of your spiders. Beat butter, brown sugar, and granulated sugar until light and fluffy. Add one egg at a time mixing to combine. Whisk together the flour, nutmeg, cinnamon, salt, and baking powder. Add to the wet ingredients and stir just to combine. Stir in the oats and 1 1/2 cups of raisins. Scoop out two thirds of a cup of cookie dough, roll into a ball, and place on a parchment paper lined baking sheet. Repeat creating a total of 16 cookies. Flatten the cookies slightly. These cookies are really big, which helps keep them moist and chewy on the inside. 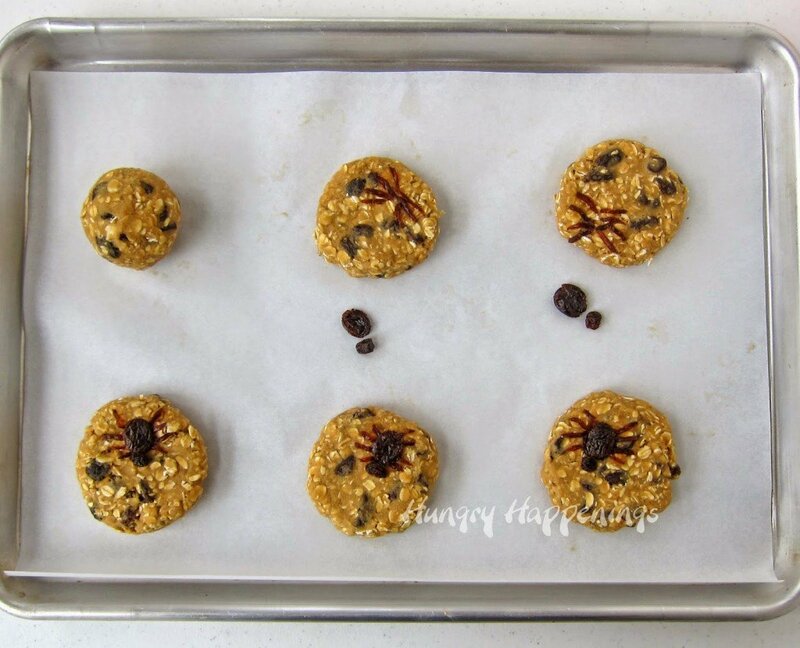 Arrange your raisin spiders on top. Start by placing the eight legs on the cookie then put the large raisin body over top and add a head. Bake for 18 to 22 min. until the edges turn golden brown. Allow the cookies to cool and then go have fun creeping out your friends and family. 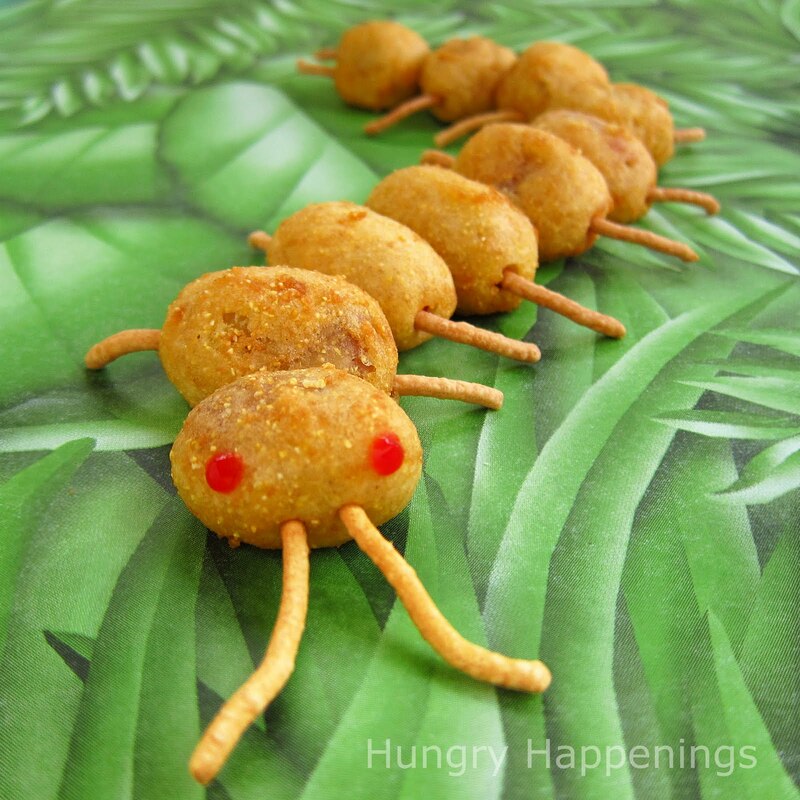 Select 16 large plump and juicy raisins for the spider bodies and 16 very small raisins for the spider heads. if you can’t find really small raisins then cut larger ones in half and roll into balls. flatten the larger raisins out to create a nice sized spider body. Flatten the remaining raisins as thin as you can. Using a sharp knife, cut thin long strips out of the raisins for the spider legs. Create enough legs for all 16 of your spiders. Beat butter, brown sugar, and granulated sugar until light and fluffy. Add one egg at a time mixing to combine. Then add vanilla. Whisk together the flour, nutmeg, cinnamon, salt, and baking powder. Add to the wet ingredients and stir just to combine. Scoop out two thirds of a cup of cookie dough, roll into a ball, and place on a parchment paper lined baking sheet. Repeat creating a total of 16 cookies. Flatten the cookies slightly. These cookies are really big, which helps keep them moist and chewy on the inside. As the cookies bake they will spread and the parts of the spiders may move away from each other. As soon as you take the cookies out of the oven, fix your spiders. I had to move a few heads back to the bodies and even used tweezers to move a few of the legs.The trick to keeping the legs close to the raisin bodies is to have them touch in the middle underneath the raisin, like in the second cookie pictured above. When the cookies spread, the legs will move, but wont separate from the body, like they did in the third cookie pictured above. A few of those legs were spaced too far out from the middle. This fun Halloween recipe was created on behalf of California Raisins. 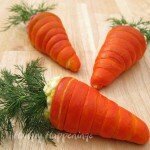 I was compensated and given free product to use in developing this recipe. I enjoy working with sponsors, but only do so for products I truly believe in. 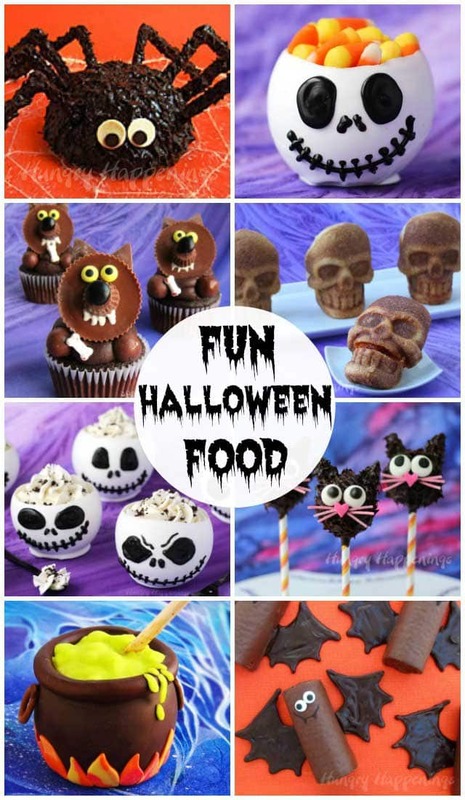 Very creepy….therefore perfect for Halloween!! 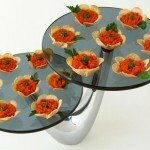 No way could I do these! Give me goosebumps just looking at them! They are pretty creepy looking, that's for sure. 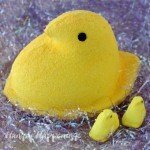 I'm sure you aren't alone in your fear of eating them. Love this! 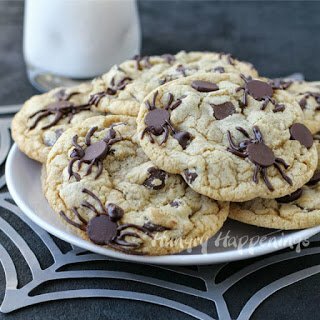 I've seen the chocolate chip spider cookies, which are cute, but I'm not a chocolate chip kinda girl. I don't like them. Oatmeal on the other hand. Bring it! I love them. 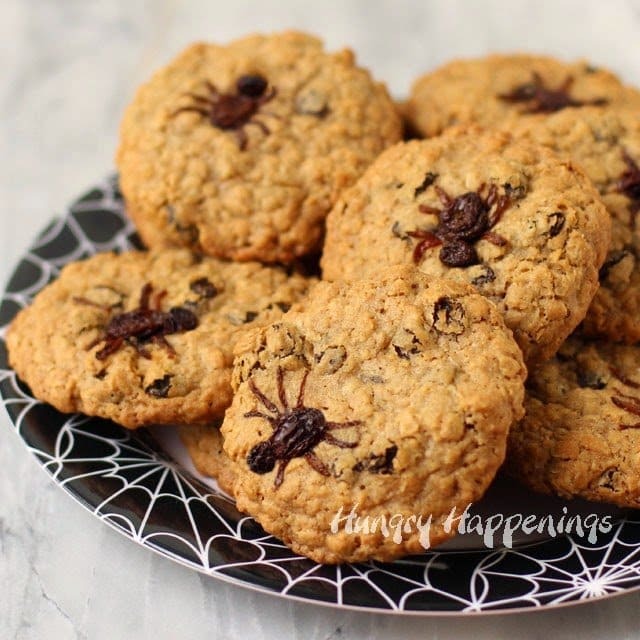 These spider cookies, I would absolutely make. 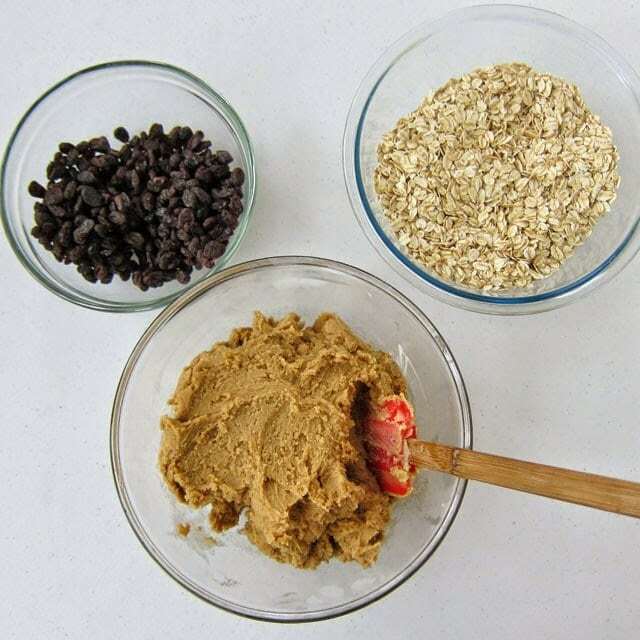 I'm a big oatmeal raisin fan myself and loved this cookie recipe. 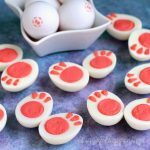 These cookies are so awesome for Halloween and they look delicious too. Loving the little spiders especially.. you definitely have patience cutting out those legs! Thanks, Thalia. I was surprised at how quickly I cut all the legs. Placing them on the cookies certainly did take patience, but was pretty easy. Thanks, Stephi. 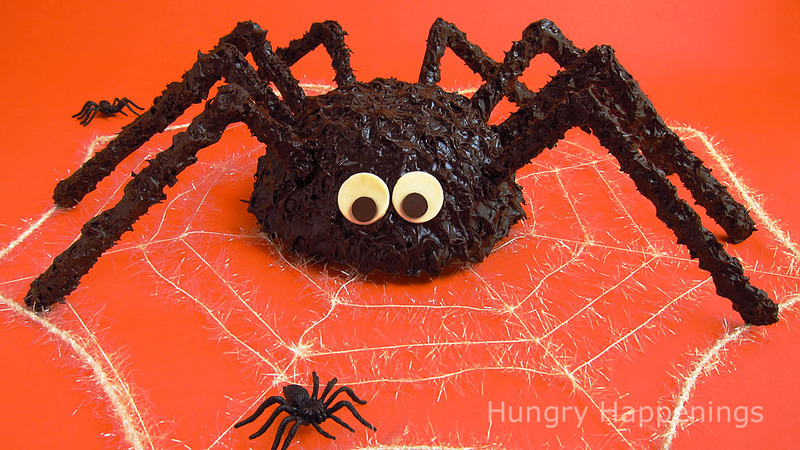 I do really like decorating with things other than fondant, and using raisins for these spiders worked out perfectly. 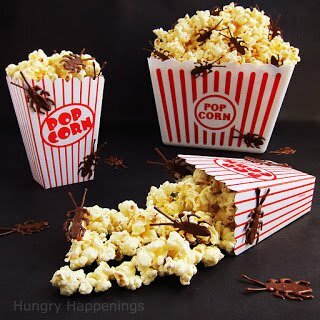 Gosh..these raisin spiders look so vivid and real! These oatmeal cookies look fantastic. Thank, Angie. I love this cookie recipe. It is really fantastic. 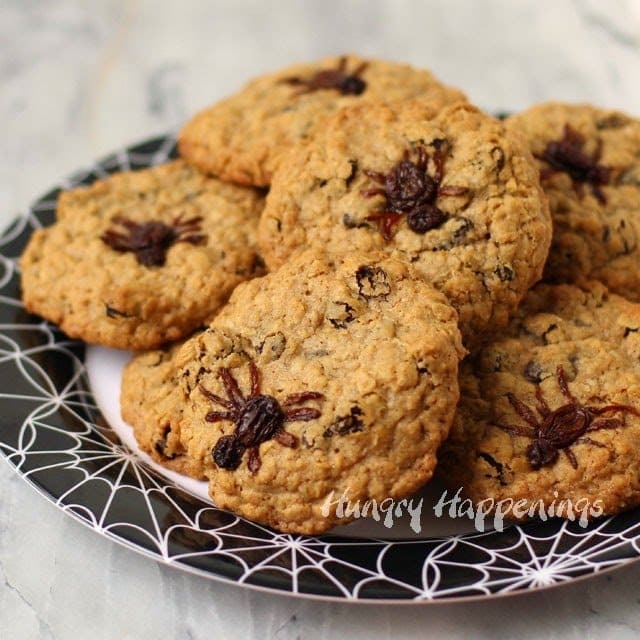 I do love me some spider cookies, raisins included! Thanks for stopping by Cathy. 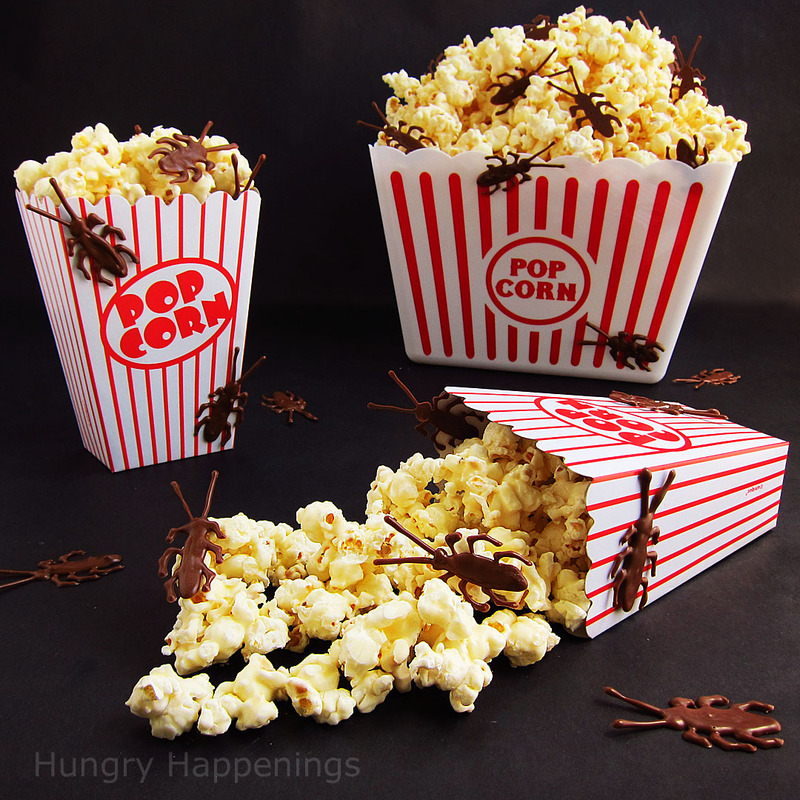 I am so afraid of spiders, it's not even funny, but I do love to add edible ones to my Halloween treats. It's fun.